We plan to have a working farm for the homeless to stay unharassed to rebuild their lives. We will have sleeping cabins, showers, restrooms, a kitchen, and a cafeteria. We plan to have transportation to jobs, if they have one. We will have job interview training. We will encourage them to be where they never become homeless again. We will raise crops and livestock to use and to sell. Columbus, Indiana has women and children sleeping under bridges and in the woods around our town. 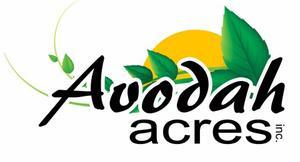 Avodah Acres Inc. is fiscally sponsored by Avodah Acres Inc..